It’s been 60 years since Central High School was forced to desegregate, but a federal lawsuit now claims the Little Rock School District is racially biased when it comes to investing in facilities and programs. Proving that’s true in fact won’t be enough to win the case, though. The suit's authors will have to prove district officials set out to discriminate. The lawsuit, scheduled for trial next week, is brought by state representative and local civil rights attorney John Walker, who claims the school district provides worse buildings and fewer academic opportunities in its majority-black schools. At issue in the case is the alleged disrepair of some majority black schools and the recent construction of a new middle school in West Little Rock, a part of town that is overwhelmingly white. University of South Carolina law professor Derek Black says, to win, plaintiffs must show the district treats black students differently on purpose. The district says it has not discriminated against black students, and there is no proof of racial motivation in facilities spending. Many students, mostly white, have left the district for charters or private schools. Little Rock School District Superintendent Baker Kurrus said at the time of announcing the construction he hoped the new school will draw families back in. David Kiel, a law professor at the University of Memphis, says the “intent” requirement is a vestige of days when segregationists broadcast their goals and racism was written into the law. Black agrees that, today, showing motive can be an obstacle, and sometimes school officials aren’t even aware if they are biased. To win such a case, the district must only show there was a reason for its facilities decisions other than race. Finances, for example, or population growth. Indeed, the “intent” standard is meant to let officials, rather than courts, deal with complicated social problems, says John DiPippa, interim dean of the William H. Bowen School of Law in Little Rock. “I think what the government would say is every action they take is going to benefit some people more than others. To Professor Kiel, the case echoes mid-century separate-but-equal facilities cases that came before the U.S. Supreme Court and lower courts. In fact, several published reports say school districts across the country have re-segregated over recent decades. The trial begins September 13th in Little Rock. This story is produced by Arkansas Public Media. What's that? 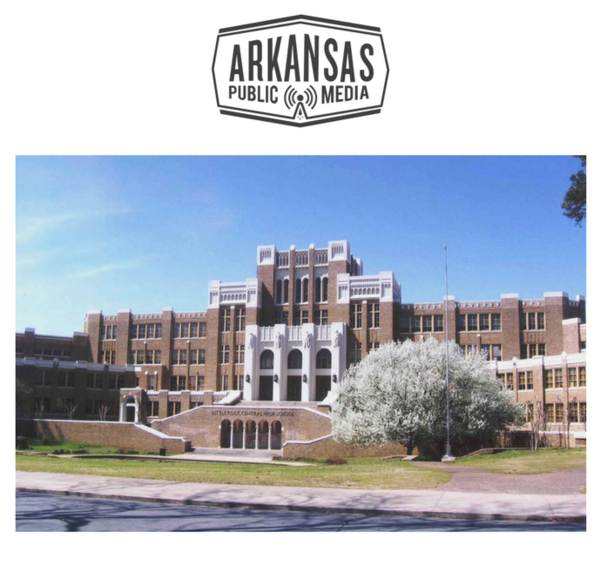 APM is a nonprofit journalism project for all of Arkansas and a collaboration among public media in the state. We're funded in part through a grant from the Corporation for Public Broadcasting, with the support of partner stations KUAR, KUAF, KASU and KTXK. And, we hope, from you! You can learn more and support Arkansas Public Media's reporting at arkansaspublicmedia.org. Arkansas Public Media is Natural State news with context. Copyright 2017 Arkansas Public Media. To see more, visit Arkansas Public Media. Visitors to Little Rock's Central High School will now have a way to explore the school’s historic past. 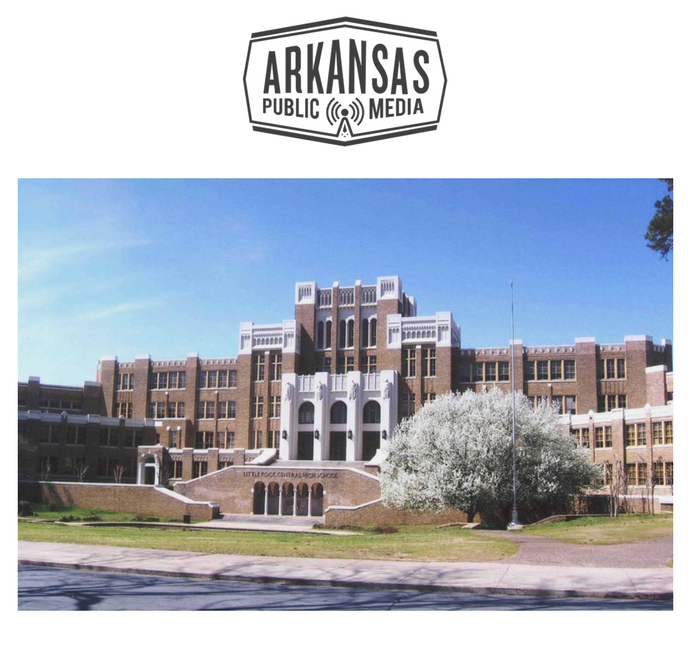 An app developed by the Central High Civil Rights Memory Project in partnership with the Arkansas Regional Innovation Hub, uses first-person accounts to narrate a walking tour of the school. George West taught civics at Central High, and now serves as education outreach coordinator at the Butler Center for Arkansas Studies. He has seen firsthand the impact the project has had on students. The threat of a protest at Gibbs Magnet Elementary School in Little Rock today derailed a planned speaking appearance by U.S. Representative French Hill. A parent complained about Hill's support for Donald Trump and fears children would be used as a photo-op. UPDATE: Congressman Hill responded to the matter in a statement. Facebook is expanding a partnership with Arkansas and will donate virtual reality kits to every public high school in the state. Gov. Asa Hutchinson announced Monday the state and the social media giant are expanding the TechStart Partnership, which was announced earlier this year to generate interest in computer science careers and instruction. Facebook originally donated 400 virtual reality classroom kits, including computers, cameras and Oculus Rift equipment, to approximately 250 schools. Conflicting messages of success and dissatisfaction were the predominant themes of a town hall meeting with officials from the Arkansas Department of Education, state lawmakers and the Little Rock School District Thursday. The optimistic assessments of the state of district schools by Superintendent Michael Poore and Education Commissioner Johnny Key contrasted with vocal opposition from the public. Events in Charlottesville, Virginia have sparked discussions in Arkansas about the proper response to Nazis and the Ku Klux Klan, as well as renewed debate about the meaning of Confederate monuments. Take a listen to KUAR's interviews with state Rep. Bob Ballinger and pastor, judge, and author Wendell Griffen.